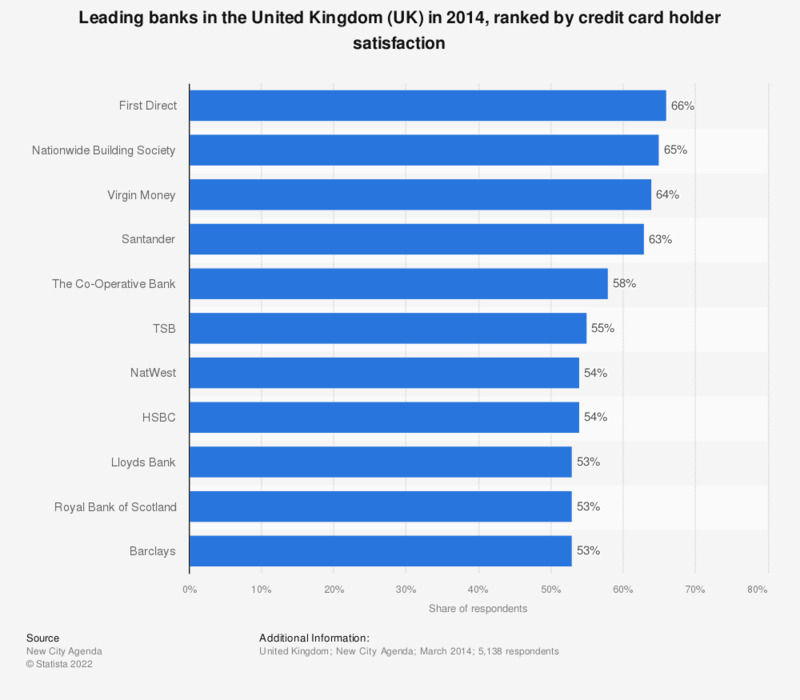 This statistic presents the average satisfaction scores for credit card accounts with leading banks in the United Kingdom (UK), as of 2014. In that time, First Direct bank scored highest with 66 percent of respondents satisfied with their credit card services. The source adds the following information: "Score are Which?’s composite measure of customer satisfaction and likelihood to recommend. Providers shown here have a minimum sample size of 30 responses in at least two product areas. This survey was conducted in March 2014. " Which accounts/services do you use at ING Bank? At which bank do you have your main savings account?